For whatever reason, most of my SLR photos were pretty blurry, but my friend’s point-and-shoot photos turned out fabulously, so with the exception of the first photo, she gets the credit for all these. Our seats were amazingly close and we danced our faces off, as you might expect. A few more pics here. PS Thank you so much Christina for featuring me on your Meet the Blogger series. Check out her blog Profresh Style here! I don’t mind your ritzing me drinking your lunch out of a bottle. I can't believe she wore bubbles. No wait, actually I can! Wow those leggings, I'm almost in a trance just looking at them in a photo! I imagine they are hypnotizing when you're walking. This is the part where I decide I hate you for seeing her live. SO AWESOME!!! You're so lucky especially with the news about the tour with Kanye being cancelled! You look just as fierce as Gaga!! LOOOOOOOOVE the leggings!!! I'm glad you had fun! omg, last outfit of hers is so stunning! The vest and the inner top with those fierce shoes,so so beautiful:)) I love everything. Found your blog from the Weardrobe site. Totally jealous that you went to see Lady Gaga!! Went back a couple of pages and love the poses you choose for your outfit shots. Also love your mix of low + high priced items, it all goes really well together!! woww she really shows us her crotch haha! Love her, tho. Such a rockstar! Ooh, glad you had such fun! Looks like an incredible show! I am SO jealous you got to see Lady Gaga Live!! SO Jealous!!! You TOTAL rock those leggings too! I love them with the jacket and boots. Amazing!! Your seats look great. I can imagine how amazing Lady Gaga would be in real life. And your legging are so cool. she blows my mind…the gray peplum jacket/no pants look is my favorite. you looked great, too!!! So in love with your boots – everytime I see them, I think I love them more. Those leggings were born (okay, manufactured) to be worn with those sinful shoes. I die. You always look amazing, lady! 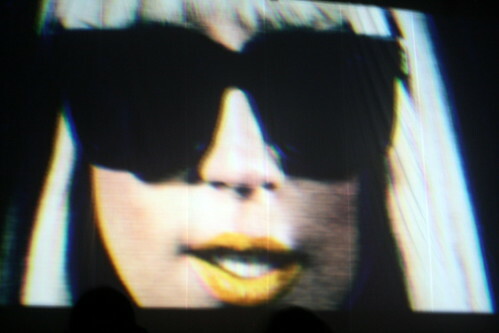 And, I envy you for getting to watch the always-eccentric but still fab Gaga. perfect getup for a gaga concert. those leggings= sickkkk! great pictures of her too; you guys were SO close! her outfits are nuts. i love it! i…am speecheless. lady gaga runs my life. i freakin love your outfits – they're a little crazy and a little fun but you always look total class (unlike gaga sometimes haha). is that what you wore to the show? you look amazing!!!!! i envy your urban outfitters boots like no other, you look so pretty in this picture!! i love the lady gaga bob! Im so jealous that you got to see her in concert, I would kill for that! I think I'm going to be her for halloween. hahah. you look sooo fun; is that an adjective lol…anyway, how awesome was the concert??? Looked pretty rad! So happy I got to interview you! i like her 'cause she's crazy!! Wow! I love those shoes! I have not heard her songs before. But I do think she's damn feirce! Love these leggings!! And your GAGA pics are great! Actually your entire outy was perfect for this concert! love this photo of you- you look so lovely! Ah this is so cool; she seems like she'd be so amazing in concert! And I love love the outfit! Love the Lady Gaga pics! And you look so amazing.. the boots are killer. ahh i'm so jealous! i love lady gaga. 😉 and, of course, the boots are killer. 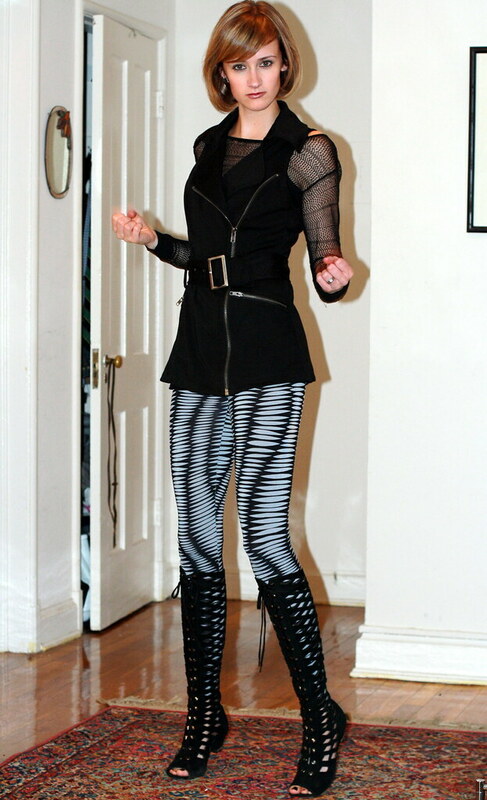 Love the leggings…and I'm not even a leggings person, but yours are really cool! so crazy, and you put together the perfect outfit! I just read your interview, I really loved all you had to say!